Fun family trips can sometimes be overshadowed by the anxiety of traveling with young children. Many times we as adults stress about the car or plane ride and how it will affect our children and other passengers if our children do not behave in a certain manner. Many people through time have weighed in on this subject with their opinions on both sides of the coin and have compelling arguments. However, what I believe to be correct is what is right for you and your family! When you venture out by car for a road trip, the most important thing you can do is make sure you and your family are safe and having fun. All states in the US require car seats for infants and toddlers, and most states have rules regarding children using booster seats until they are a certain weight or height. The best thing you can do to avoid fines if pulled over and stay safe is to research the laws of the states you will be traveling through and to while you are moving about the country. Check out this website to see what the rules are where you are going to travel! 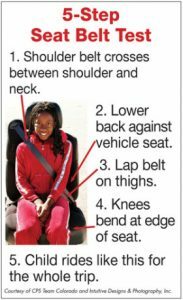 Safety as a parent is a big deal so proper car seat installation is always a good thing to check up on. Click here to see if you are installing your safety seats correctly! A good thing to also keep in mind is ensuring you keep the little ones busy while sitting still for so long. I always recommend a bag of some of their favorite snacks and toys that can be played with in a small space. Some fun ideas include, books, dolls, crayons and paper to document the trip, perhaps even a journal for the older children. When traveling by plane you have the added stress of keeping the children comfortable and quiet as we always have that obligation to keep the other passengers happy as well. Just remember, your children are passengers and have the same rights as everyone else! If this is their first trip they could have some fears and anxiety and not know how to show it. When in a new environment, children are taking in everything from how the seats work, to how to open and shut the blind on the window, to what is in the pocket in the seat in front of them. 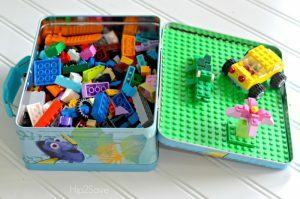 Keep some of the same small things for them to do on the plane available if space in the carry on allows. Remember to bring gum, pacifiers, and drinks that will allow for them to prepare in the change in air pressure when you take off and land. Try to talk them through what is going on and what they may be seeing through the window, you never know, you may help ease the stress of the other passengers around you that forgot what it was like to be a child! If your child is older, download some movies and games on your tablet, phone, or laptop if that is an option and get them some inexpensive headphones. Distraction can be a wonderful tool when you are in small spaces! When you are traveling with children for any reason in any form of transportation, being prepared and having all the little things you can to pull out of your “mom” bag is key to a happy and successful trip! Keep your kids busy and learning for the rest of the summer by contacting us to find out more about our Summer programming!